If you have a simple need to only print the Form (window) you are currently viewing in .NET you can use the PrintForm tool. The PrintForm component is described at http://msdn.microsoft.com/en-us/library/bb690938.aspx  with the following. 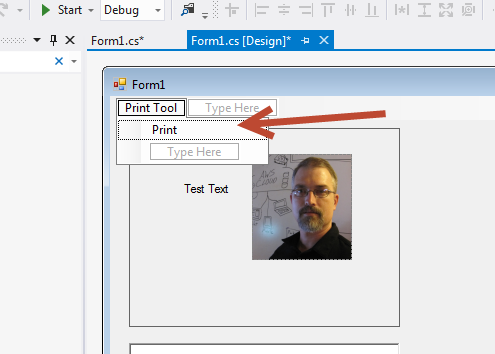 The PrintForm component enables you to print an image of a form to a printer, to a print preview window, or to a file without using a PrintDocument component. With that description let's get started. I am using Visual Studio Professional 2012. 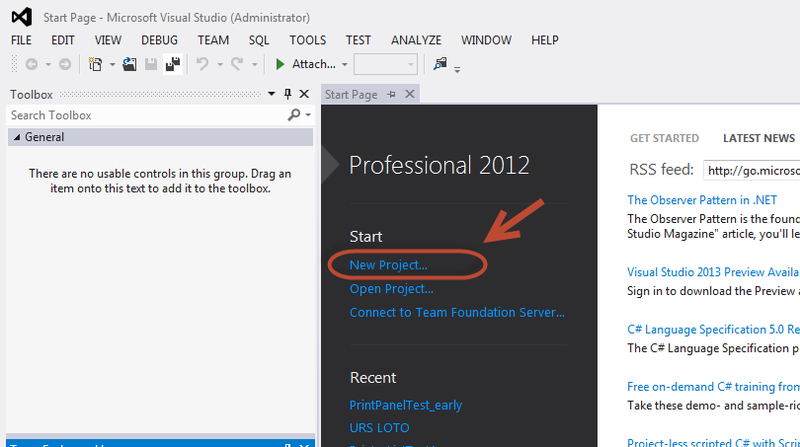 Start Visual Studio Pro and click New Project. Add a few Controls to you form. Here is a view of what I made. 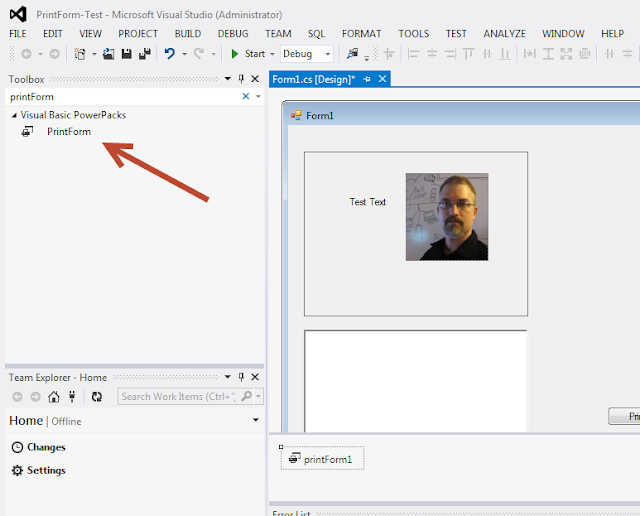 Drag and drop a PrintForm component on the Windows form. 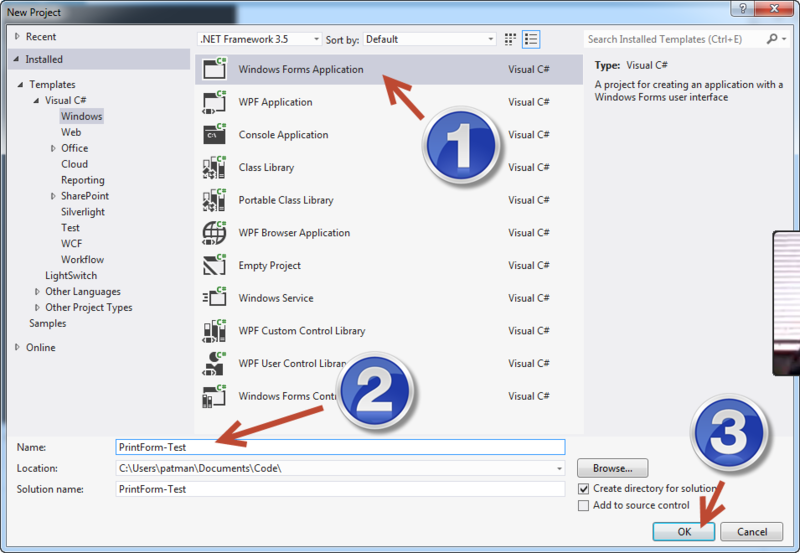 Double click on Print to create and open the click event. Add the following piece of code. 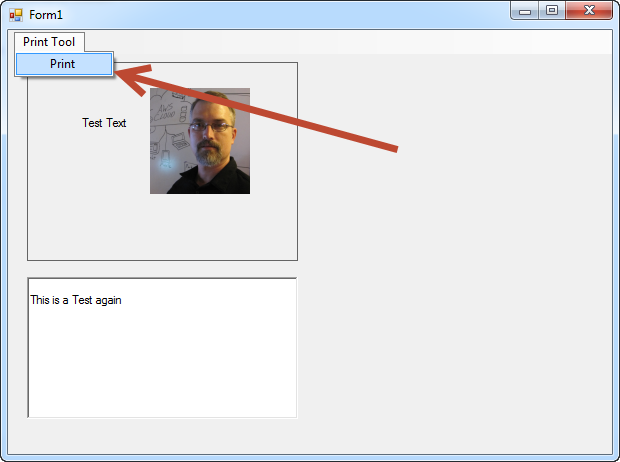 Just adding the printForm1.Print() will cause this Window to be printed. 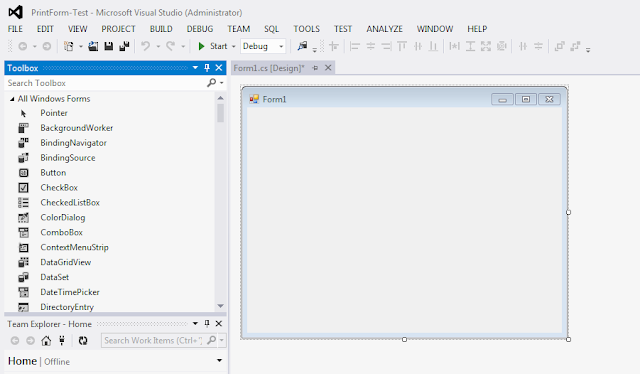 Click Start to compile and run the program. 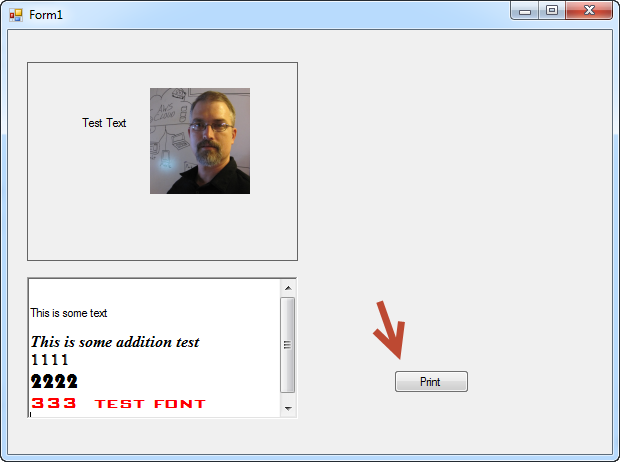 I copied some text with different font styles and colors from Word an pasted it in the RichTextBox. This is my print results. You can add a print preview by adding the following code. 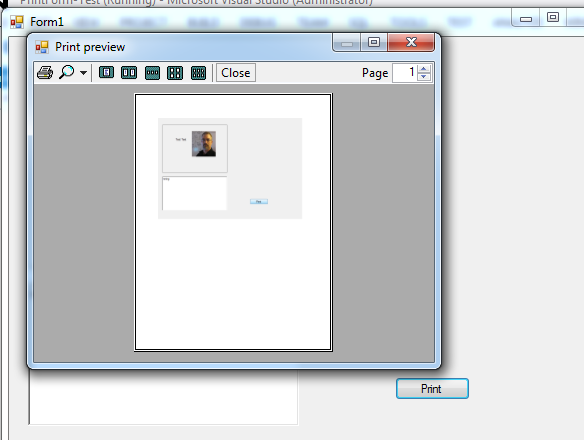 This will open the default printPreview tool when you hit print. From here you can preview and print. 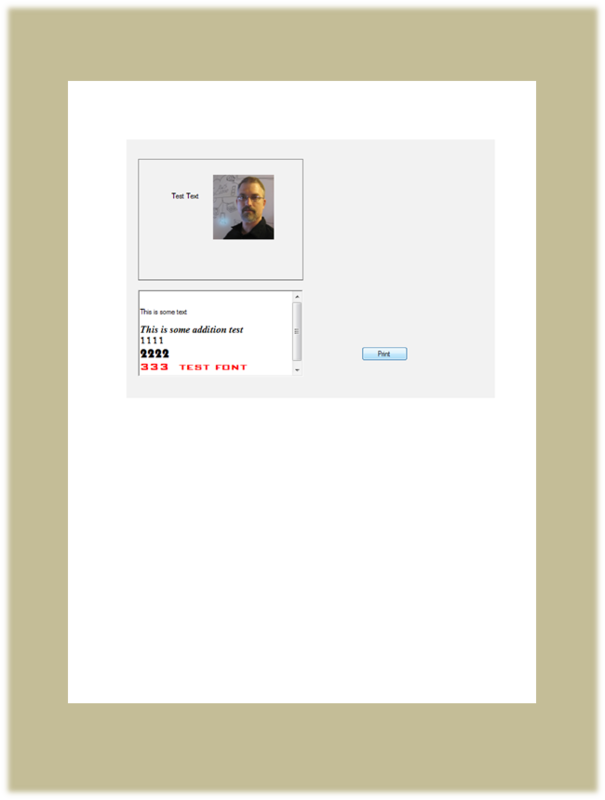 The PrintForm will print the entire Form, in this case, the Print Button is included in this. One simple way to fix this is to add a MenuStrip and have a Print selection from there. 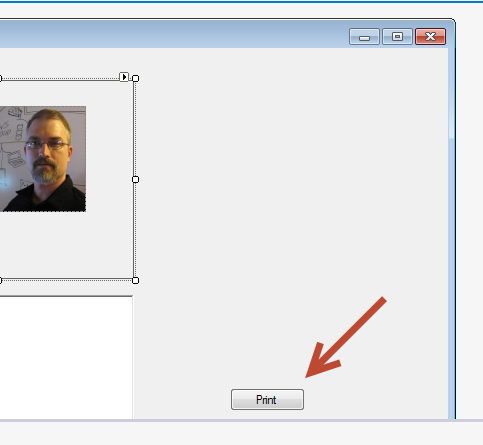 Remove the Print Button and add a MenuStrip and add a Print option to it. Double Click on the Print Option to create/Open its event. Put in the same code. 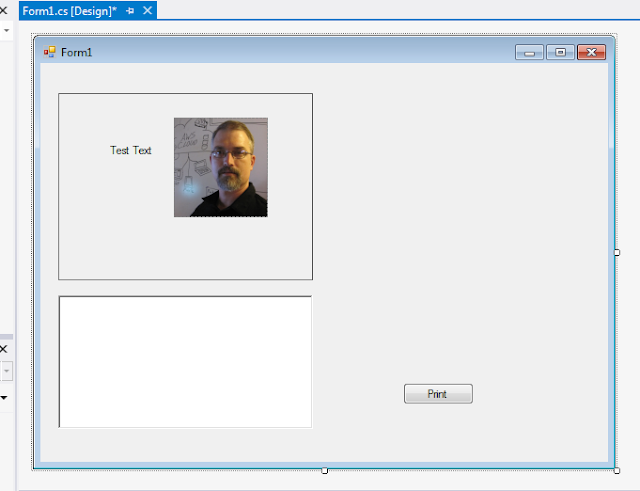 Run the Program and now click on the Print menu item. 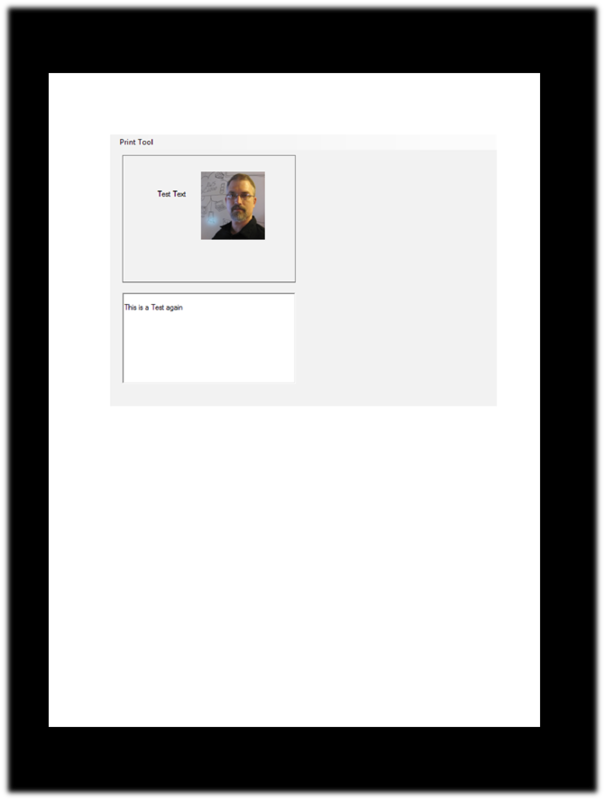 You will see that the Print Preview does not show the Menu items. 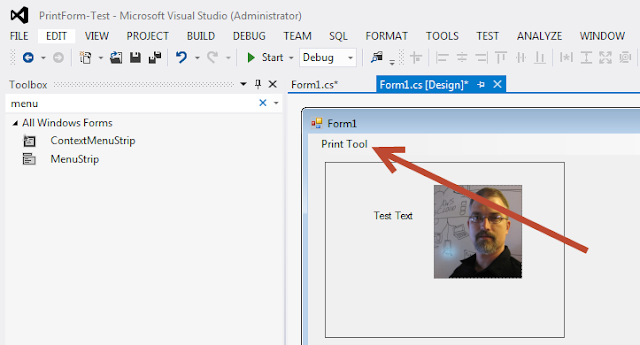 This is the default behavior for PrintForm. Here is the printout. It does not print the menu. 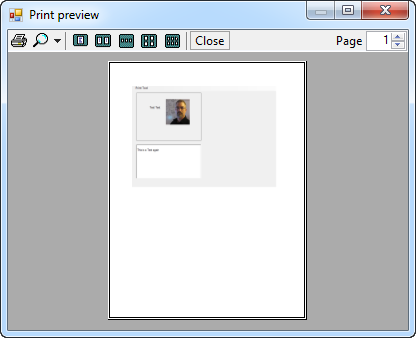 PrintForm is a good simple print tool to use to print the contents of a Window. It does not give you fine grain control but it may be all you need in a great many situations.